I decided to use my nail art polishes for this manicure. I am a little out of practice in using them so my lines are a little wonky and I had to add a little thinner to it because it started to thicken. However, this is what I came up with. I may try to perfect once it chips. 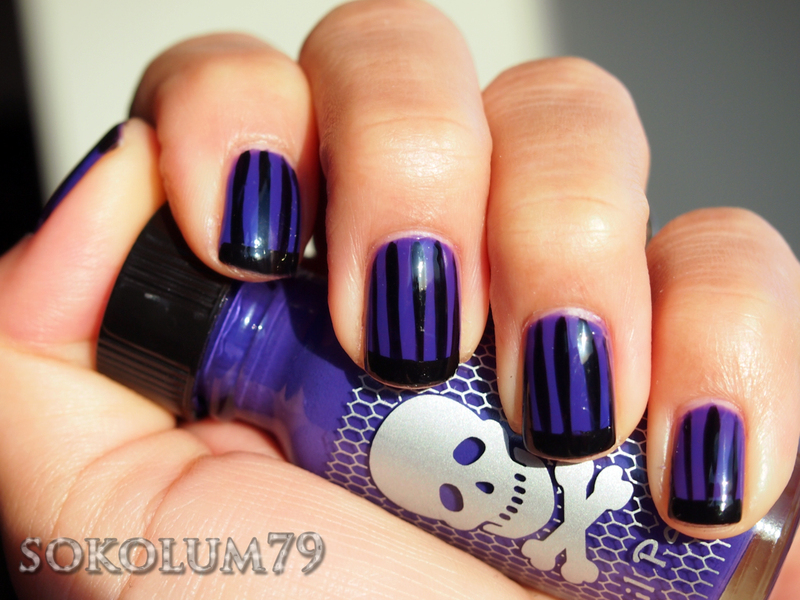 I used my FAVOURITE cream purple, a nameless bright bluish purple from Hot Topic and painted the lines with Kiss Nail Art Paint in Black. I added a coat of Seche Vite on top, then taped and painted the tips black with Sinful Colors in Black on Black. Finished it with another coat of Seche Vite. Voila mes amis!